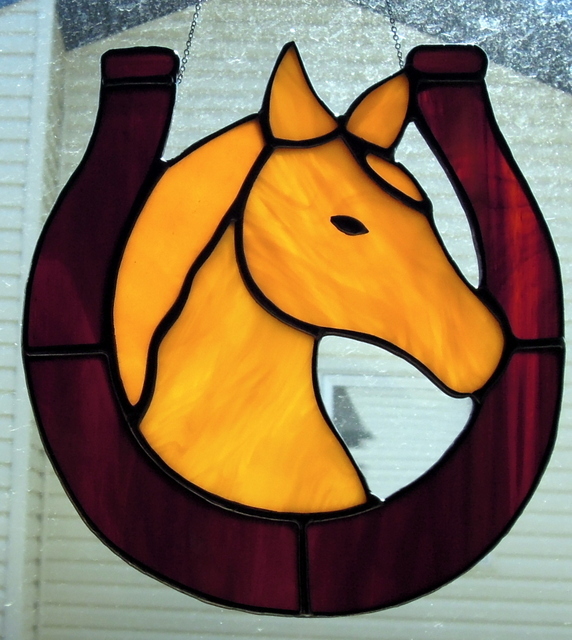 These 4 Horseshoes were purchased by a client to be given away as gifts. 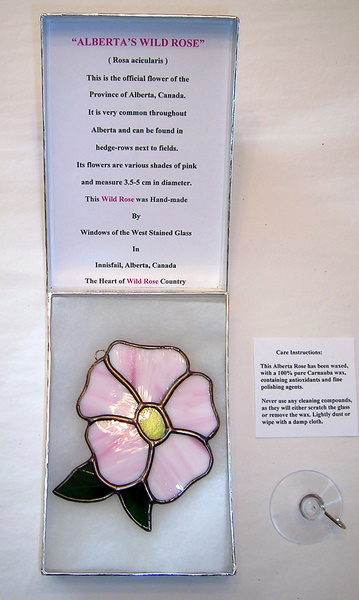 Each one measures approximately 6 inches wide x 7 inches high. 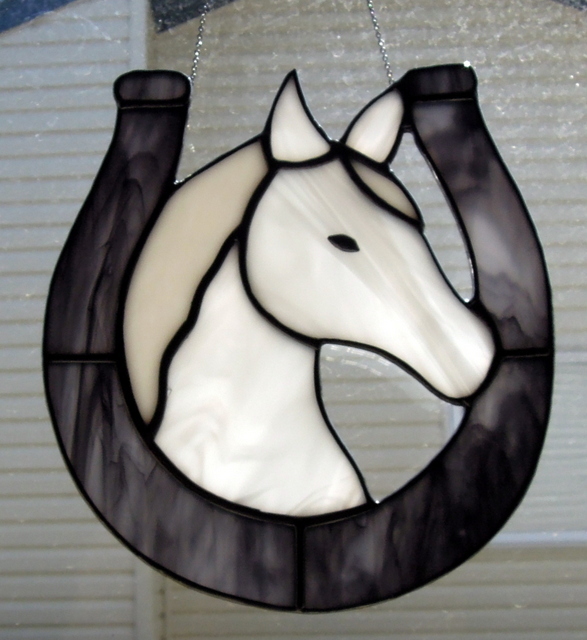 We used a combination of Spectrum and Armstrong glass along with attaching a fine silver chain which was soldered into the back seams. The eyes on each are made from black backed foil and raised solder. Black backed copper foil is used, along with JAX Pewter Black Patina and Clarica Polish. We use Kwik Clean to clean each between soldering and after the patina is applied. Once the polish dries we use a soft cloth along with toothbrushes to bring them to a very clean polished sheen. 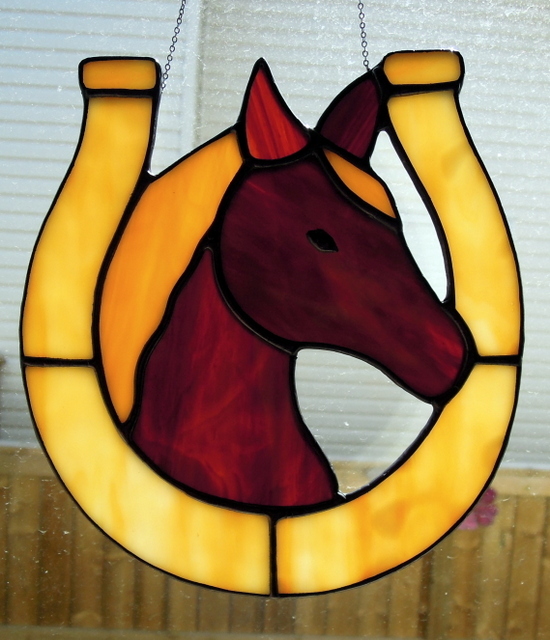 The next 4 photos shows each horseshoe individually. 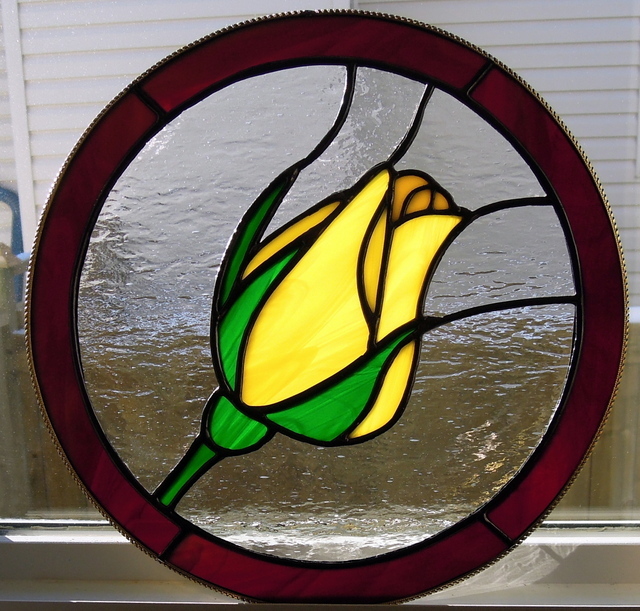 This Yellow Rose bud was commissioned as a Christmas present. The design was originally a square panel which we placed into a 10 inch circular panel surrounded by a soft flexible brass U channel. 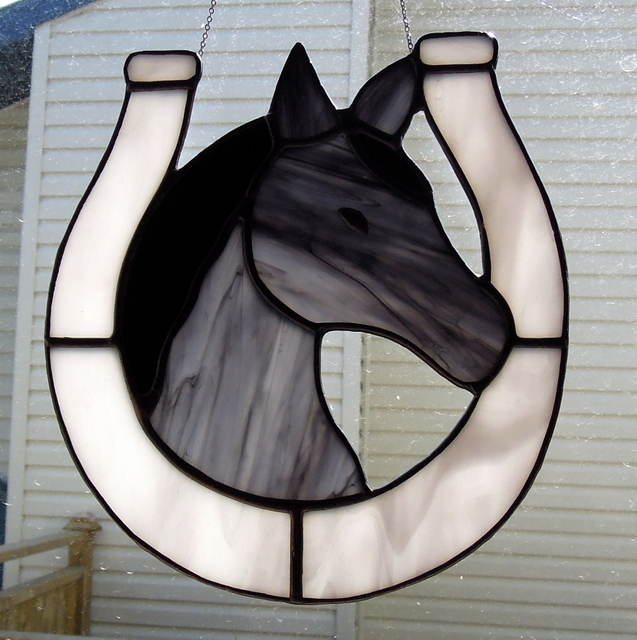 Eventually our client returned the panel so we could attach a fine silver chain for hanging in the window of their home. The following photo shows the beginning of the panels construction. 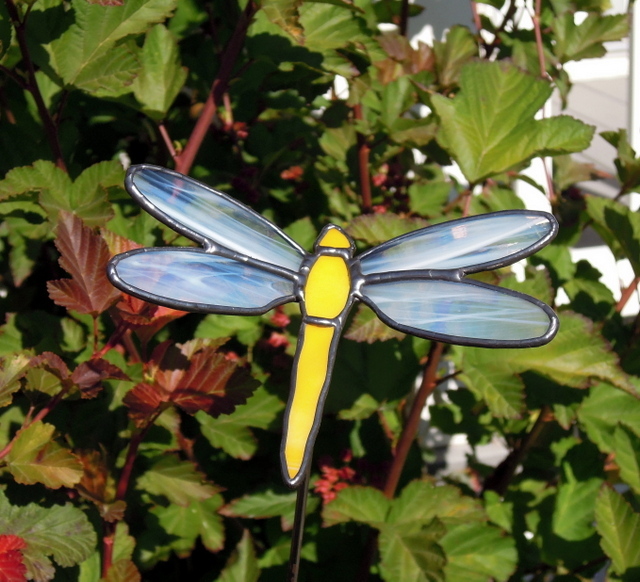 We recently redesigned our Garden Dragonfly by raising the wings rather than leaving them flat. The rods we use for these garden pieces are approximately 18 inches in length. The Dragonfly measures about 4 inches high x 6 inches wide. 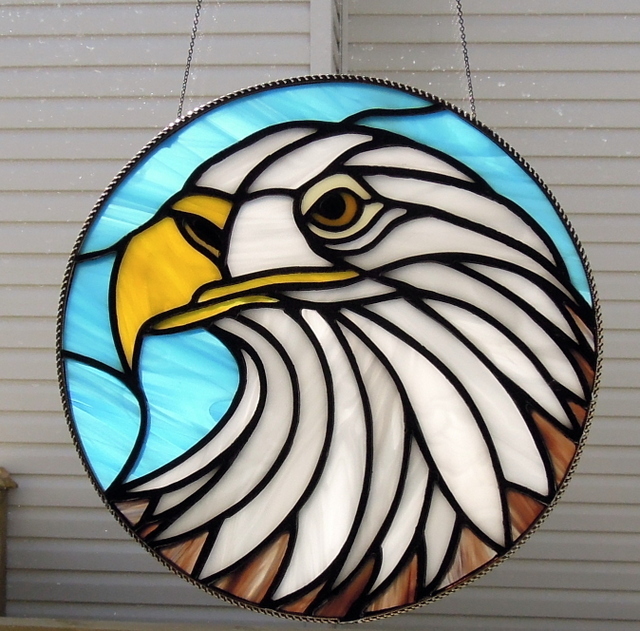 We have many varieties of glass for their wings including iridescents. 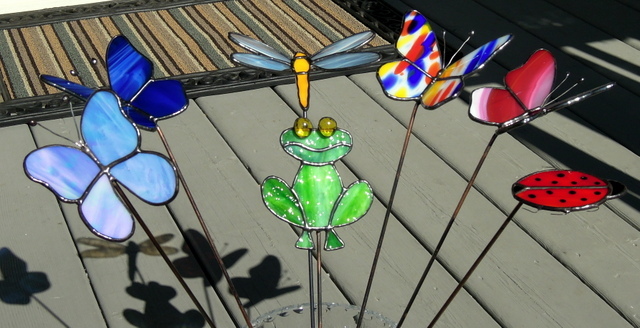 The following picture shows are large Garden Butterflies, Lady Bug and on a shorter rod the Garden Frog. We do make the butterflies in a smaller size and a larger size for the frog. 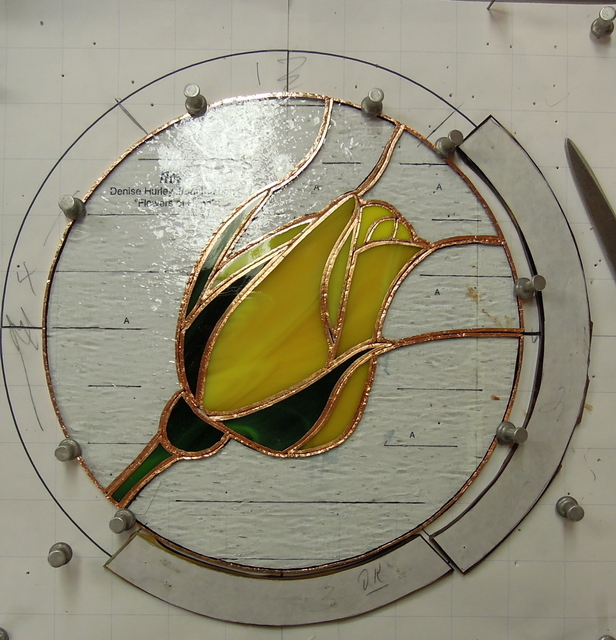 We use Spectrum # 609.8 Clear swirled with Pink and White Wispy for the roses and various greens for leaves and yellows for the center of the roses. The roses measure approximately 3 inches wide by 4 inches high.